You're sure to be the life of the party in this show-stopping piece! 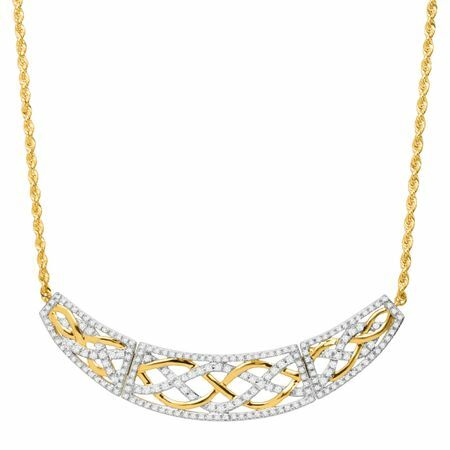 This mini garland necklace features three hinged sections, crafted in 14K gold, with a total of 1 ct round-cut IGI Certified diamonds gleaming on the surface. Feature piece measures 1/2 by 2 5/8 inches with a total length of 17 1/2 inches.